International Women’s Day is March 8, but Apple plans to celebrate women throughout the entire month of March with a new Girls Who Code partnership, special Today at Apple sessions at Apple Stores, an Activity Challenge, and more. First, Apple is partnering with Girls Who Code to support new coding opportunities for girls and young women in the United States. 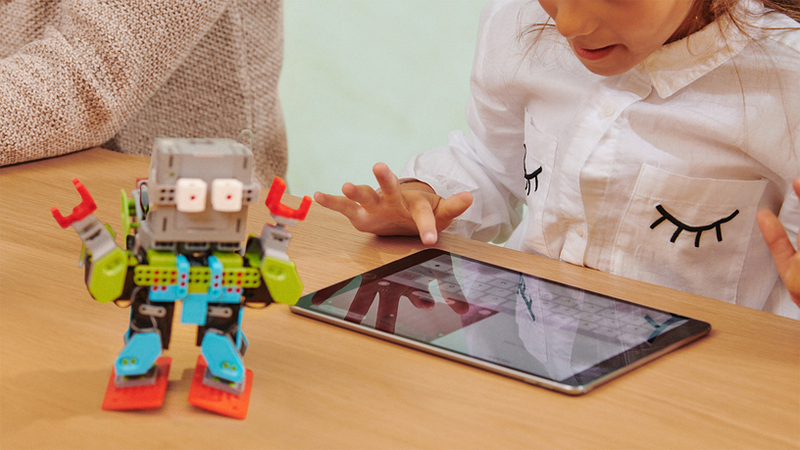 Using Apple’s Everyone Can Code Curriculum, 90,000 girls and Girls Who Code Club facilitators in all 50 states can learn to use Apple’s programming language Swift. Swift training will also be provided for club leaders to help expand the number and reach of coding clubs. 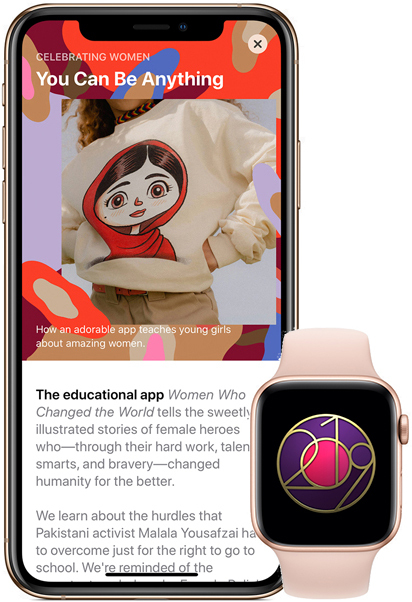 Apple supports educational opportunities for students of all ages and backgrounds, and advocates for girls’ right to access the same learning opportunities as their male counterparts through its Developer Academies, Everyone Can Code curriculum and work with the Malala Fund and National Center for Women and Information Technology. Second, in select Apple Stores around the world, visitors can attend over 60 sessions in a new “Made By Women” series throughout March. Sessions with creators will be held in select stores in Singapore, Kyoto, Hong Kong, London, Milan, Paris, Dubai, San Francisco, Chicago, New York City, and Los Angeles. Third, Apple Watch users around the world can earn an exclusive badge and iMessage stickers when they complete a walk, run, or wheelchair workout of a mile or longer on International Women’s Day, which is Friday, March 8 this year. Fourth, every App of the Day featured in the App Store in March in the United States will highlight an app founded, developed, or led by a woman, including Bumble, TheSkimm, and Stitch Fix. Apple will also be promoting women across Apple Music, iTunes, Beats 1, Apple Books, and Apple Podcasts. Women have earned the opportunity to have our ideas shape the future. We’re excited to support Girls Who Code as they empower girls to be the developers and tech innovators of tomorrow. Read more about Apple’s International Women’s Day initiatives on its Newsroom.